We are offering Pin Marking Machine to our clients. 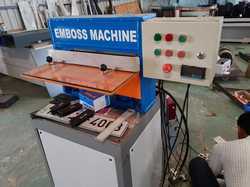 We are manufacturer of vehicle number plate pressing machine ( Both two and four wheeler). 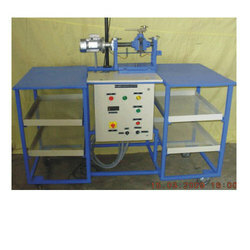 Machine specially designed to embose blank plates. This machine can emboss 10 numbers at a time. This machine work based on hydraulic system and the plate can embossed with in 30 seconds for both two and four wheeler plates. Easy to operate and can work on single phase supply. We offer and extensive range of Battery Number Punching Machine that is precision-engineered and have been widely demanded for effective punching of serial number of Batteries. Manufactured with high-grade punches, these machines are appreciated for their smooth functionality and low noise level among our global clients.